Savor dining in Eau Claire’s most sophisticated restaurant. Chef’s table is available in our European style kitchen. While we do welcome walk-ins; however, we recommend you call for a reservation as our tables fill up quickly. 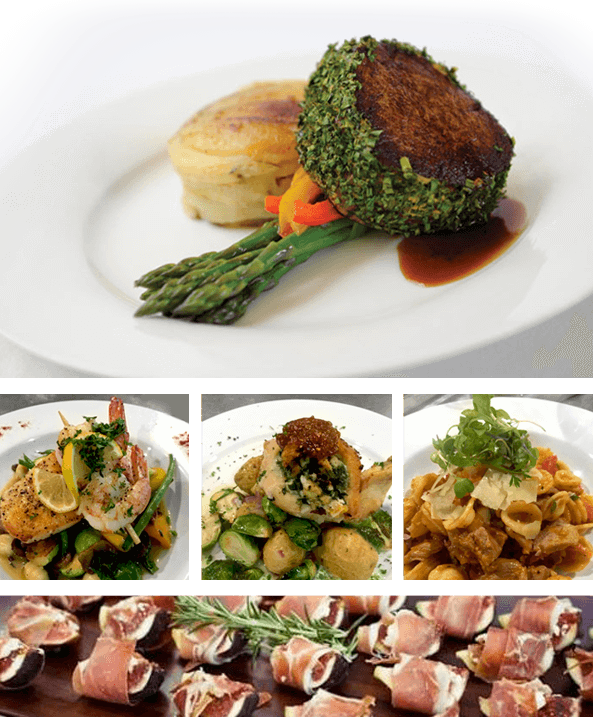 Impress your guests with the finest fare in Eau Claire. Whether you’re hosting an intimate dinner, a lavish cocktail party, or a company party, our full service catering will provide you with a unique and sophisticated experience. CALL 715.832.6778 FOR A RESERVATION. If we don't answer, leave us a message and we’ll call you back to confirm.